Maizonette Elena is situated in Loggos, Paxos. Our holiday rental property sleeps up to 3 people. Maizonette Elena has has 1 air conditioned bedroom. If an additional bed is required there is 1 sofa bed. The villa can sleep up to 3 people. 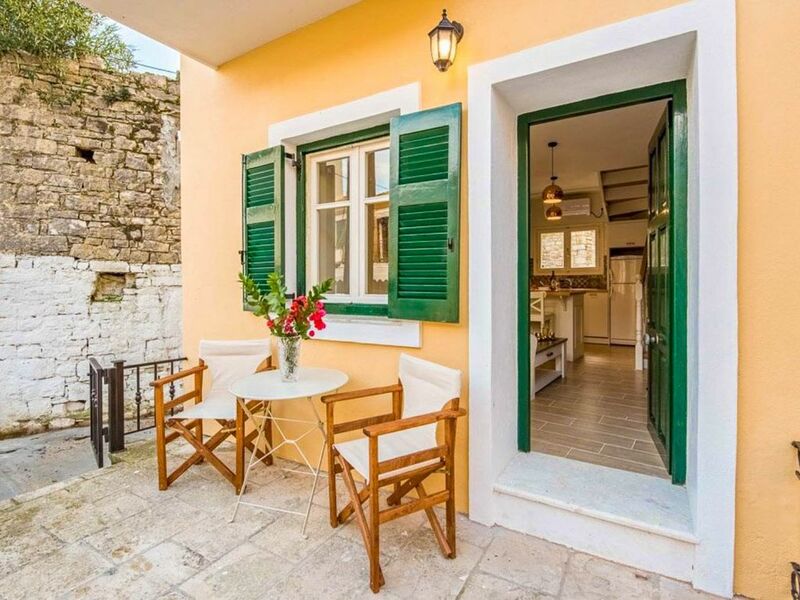 The property is located in On an island famed for its small-scale beauty, Loggos stands out as one of the most enchanting places on Paxos. Visitors never fail to succumb to its unique charm, and many of them have been returning year after year, glad to see that the changes are negligible, and that you still have to get up from your taverna meal to let the local bus squeeze past! The boats still bob along the curve of the quayside, fascinating in their variety, from sleek yachts to less glamorous fishing boats. The tiny harbour of Loggos, colourful enough for any artist or photographer, has a refreshingly intimate atmosphere, unspoiled by the daily influx of curious visitors. At night, little can be heard but the buzz of conversation from the busy tavernas where fresh fish always tops the menu and there is an intriguingly cosmopolitan atmosphere. Three mini-markets, a bakery with wonderful fresh bread every day, and supplies of fresh fruit and vegetables brought over regularly from the mainland, make self-catering a simple matter - but who could resist the conviviality and choice of excellent food at the waterfront tavernas? A pleasant beach lies to one side of the harbour - other more secluded beaches are within easy reach.